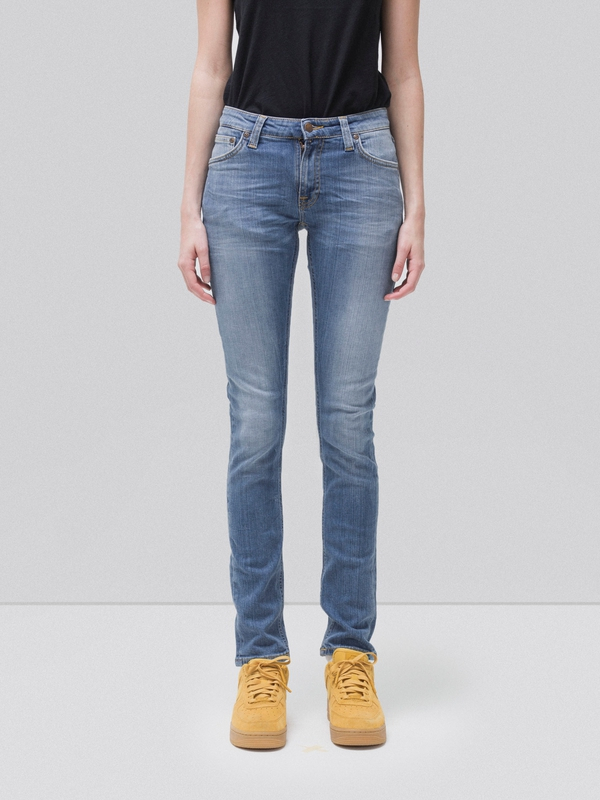 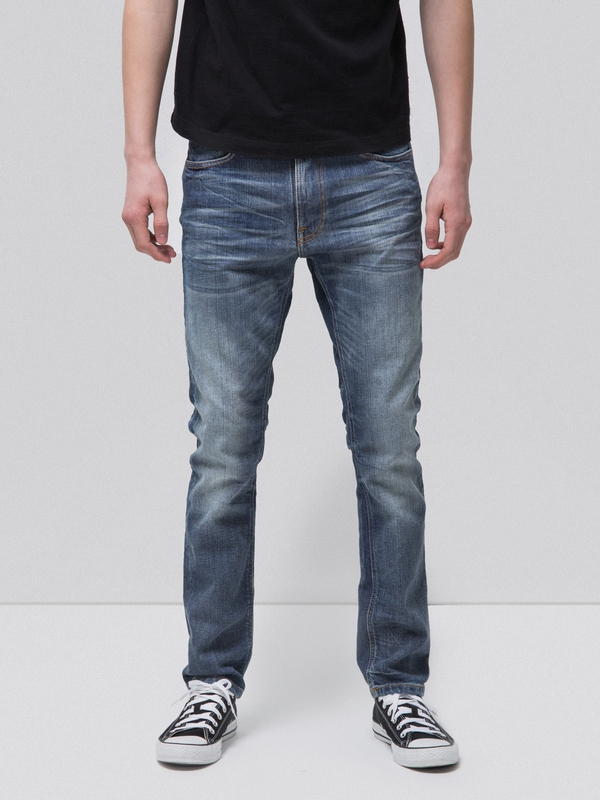 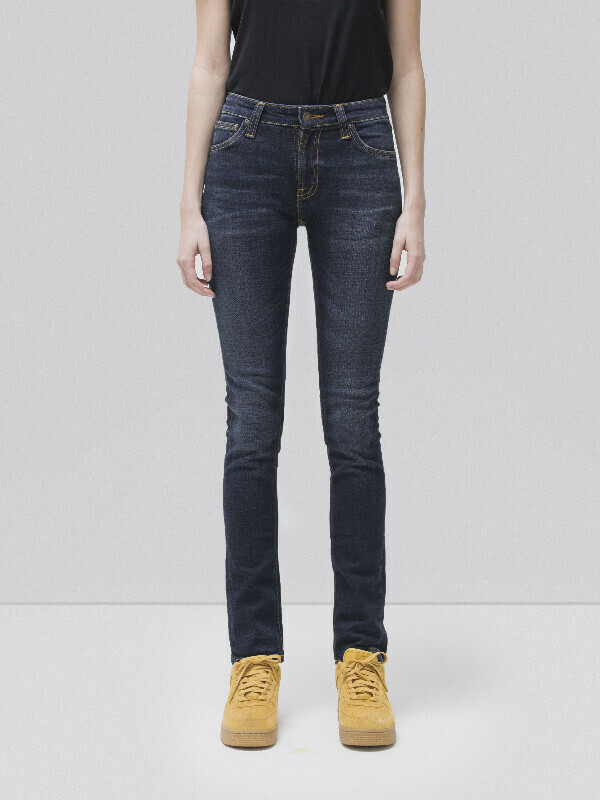 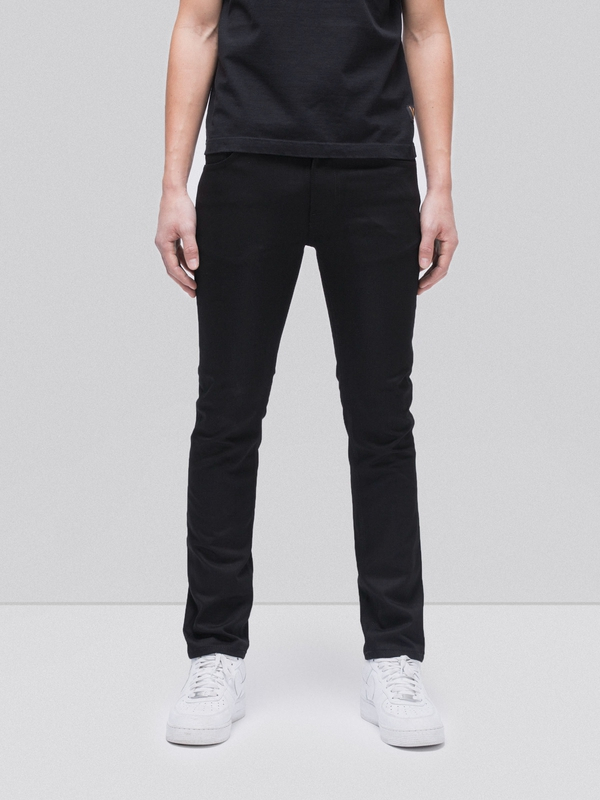 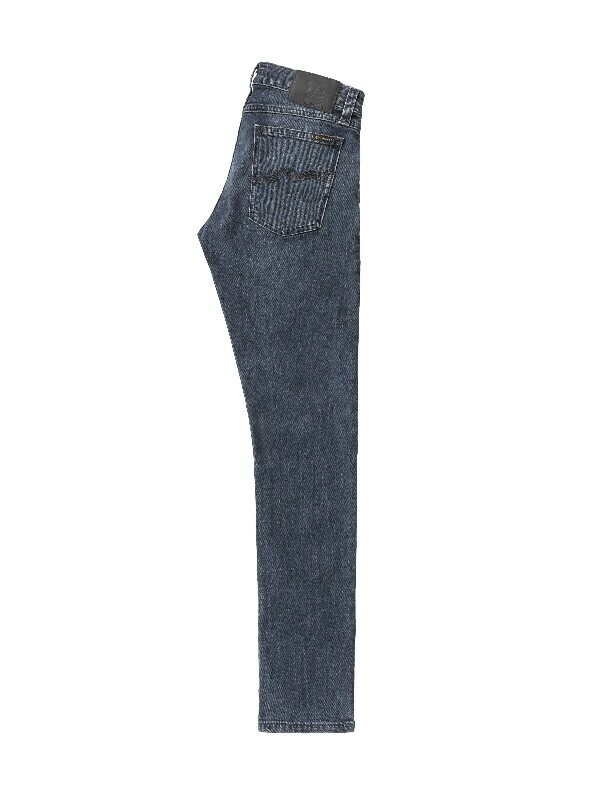 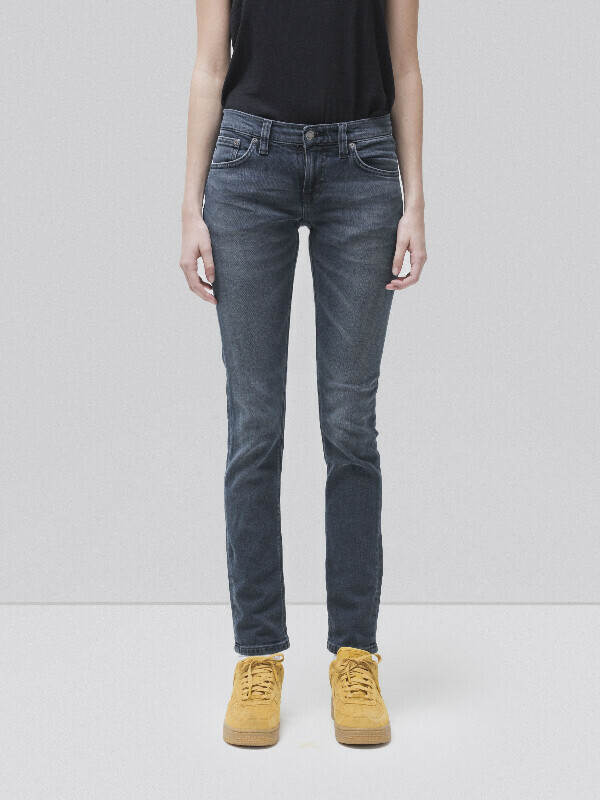 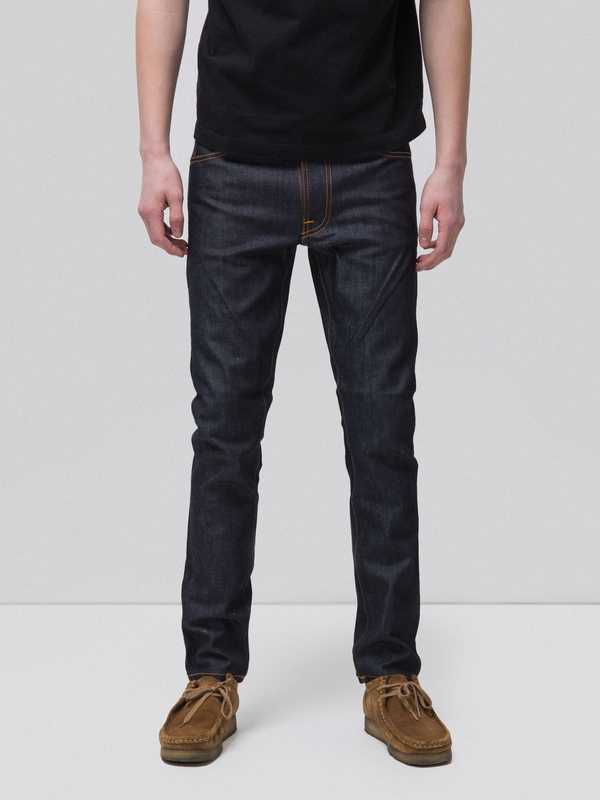 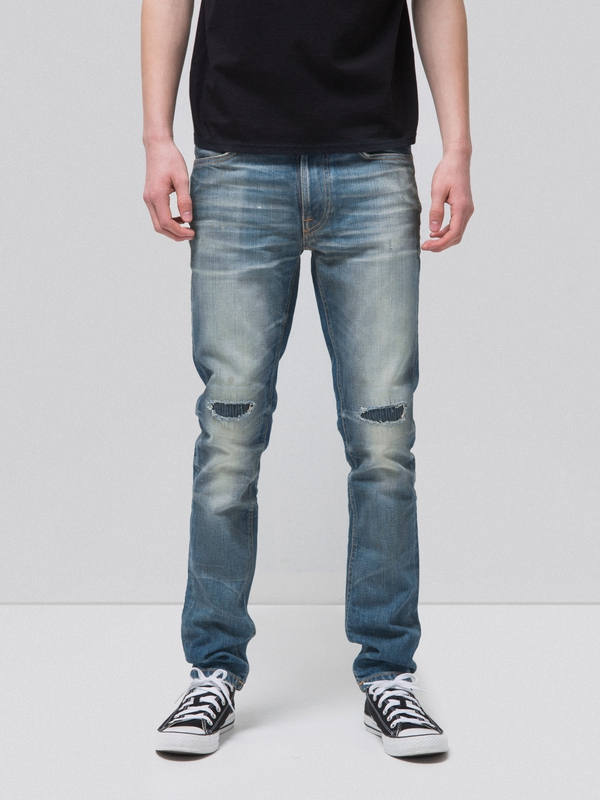 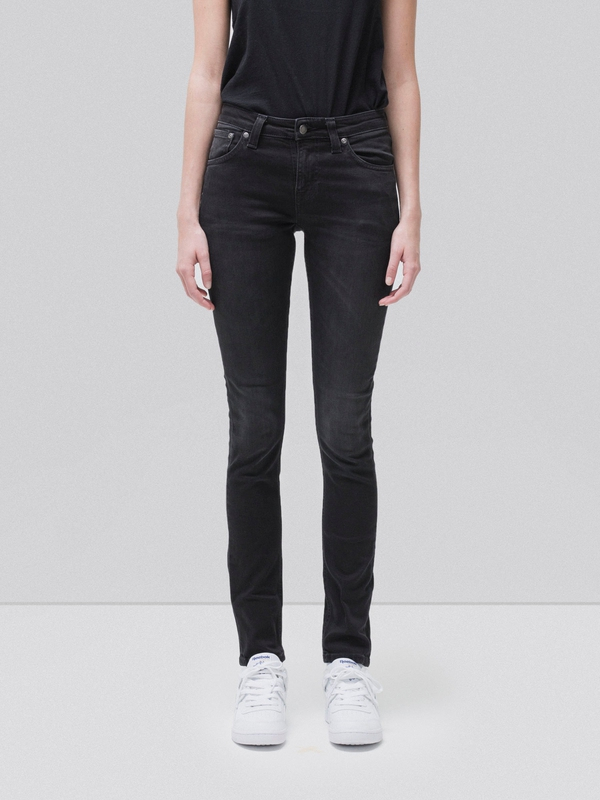 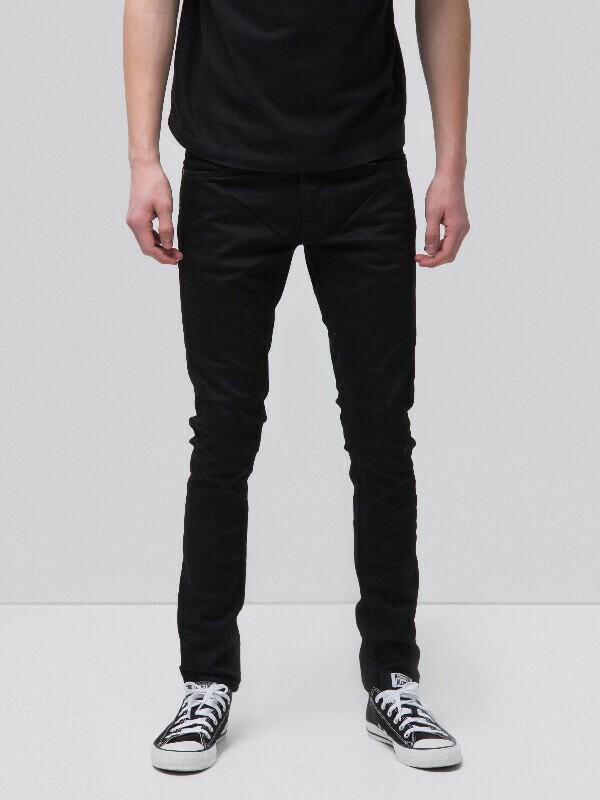 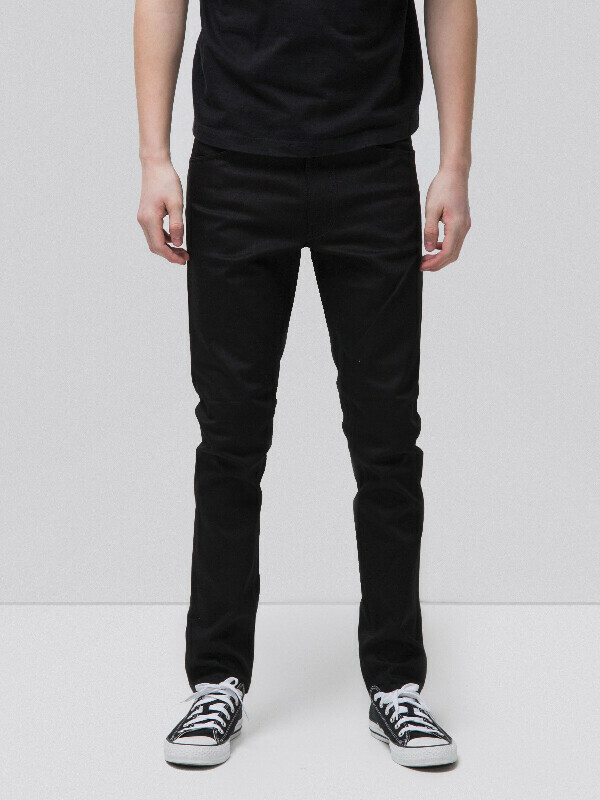 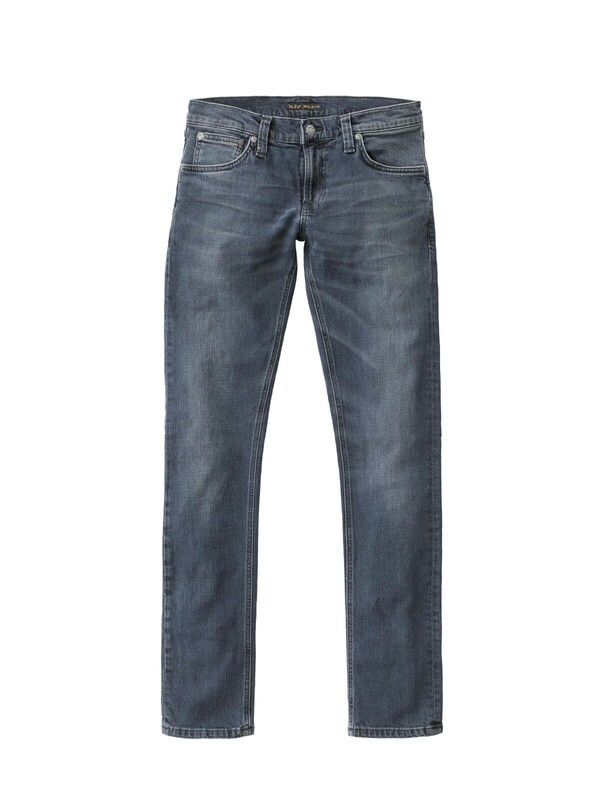 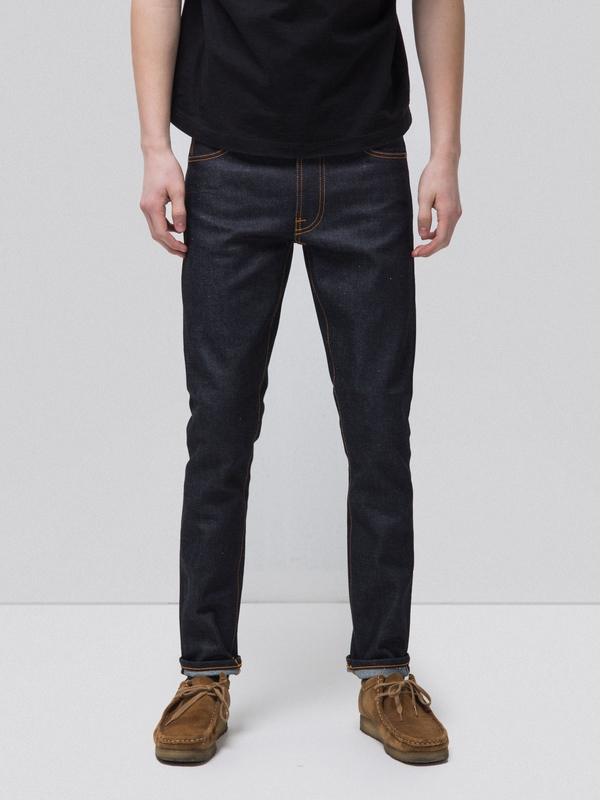 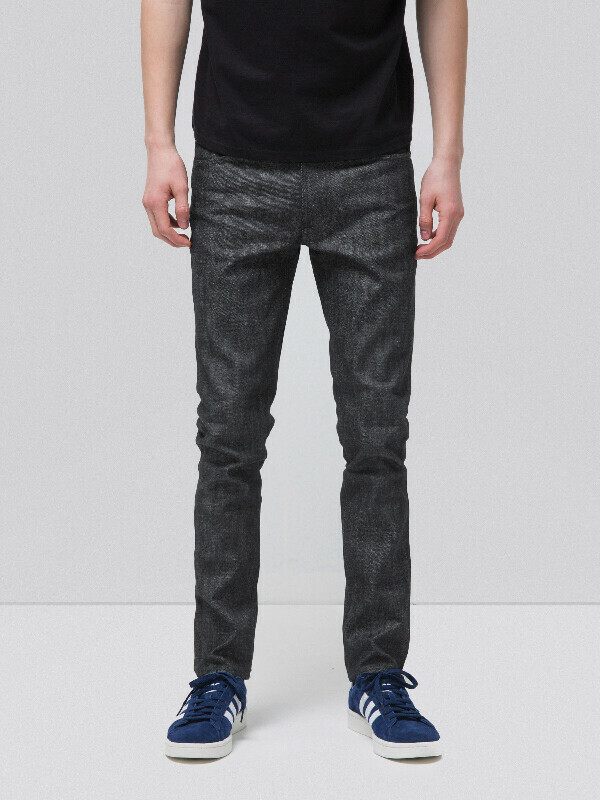 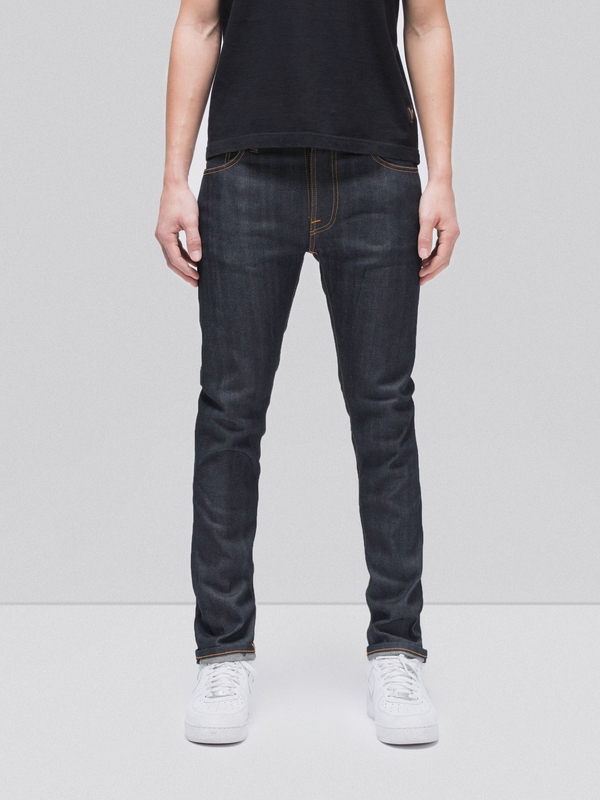 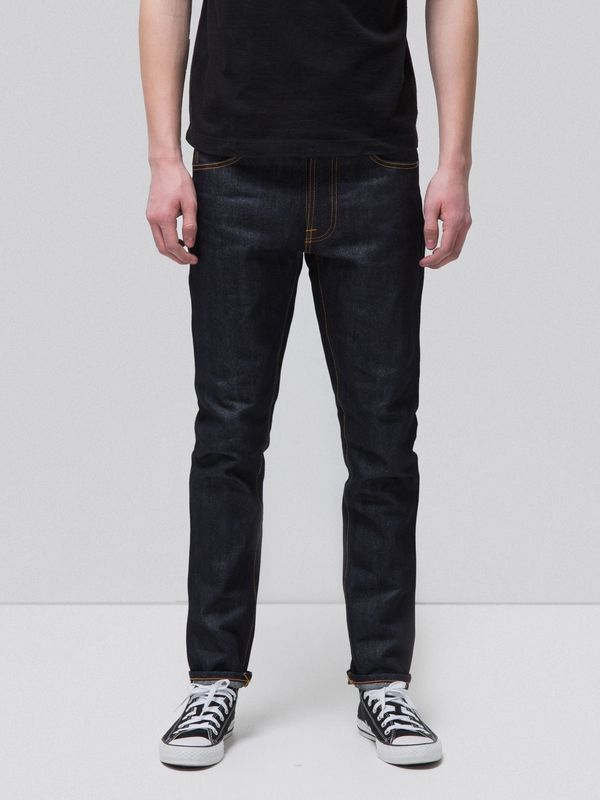 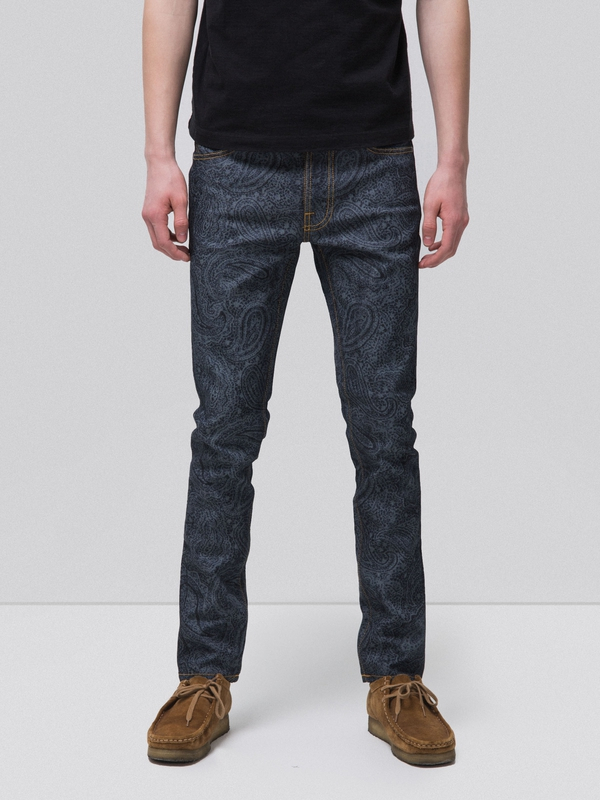 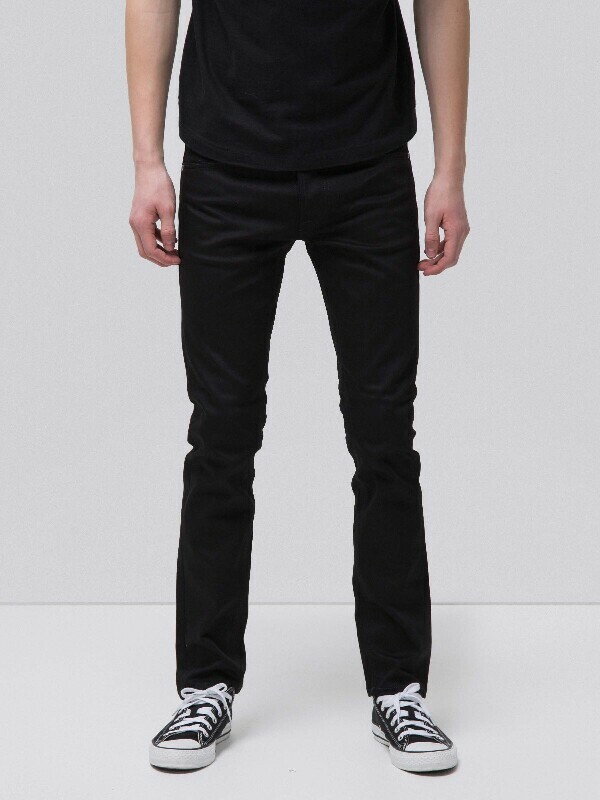 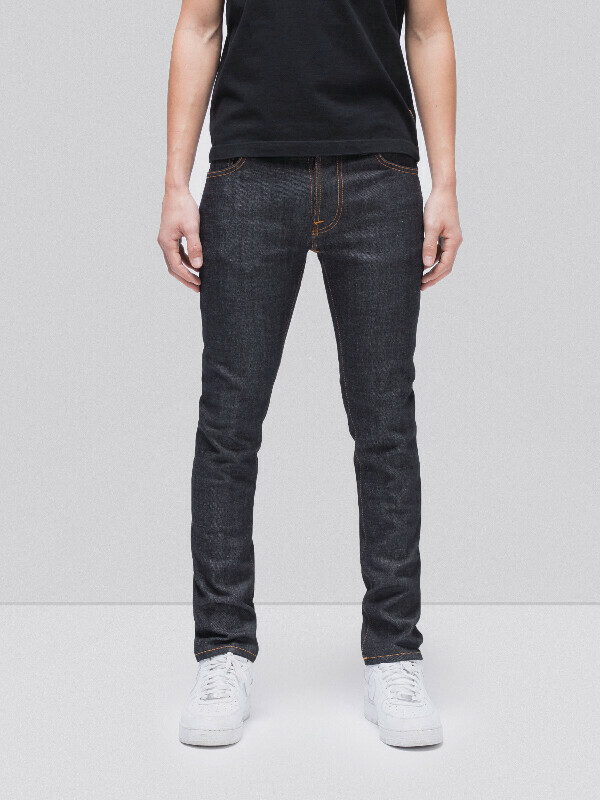 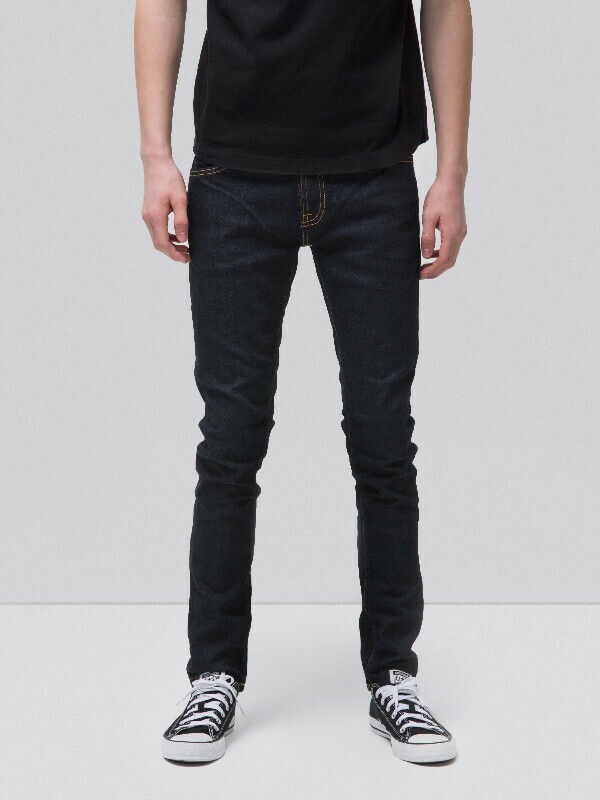 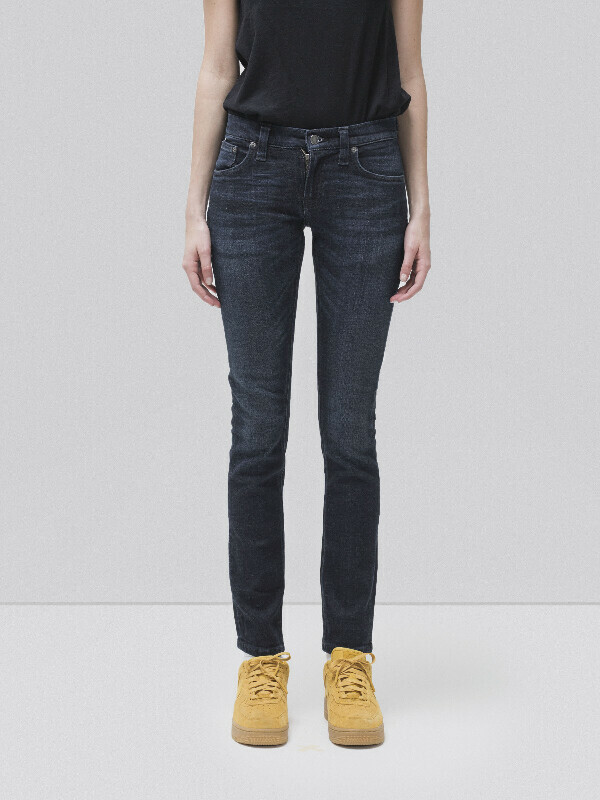 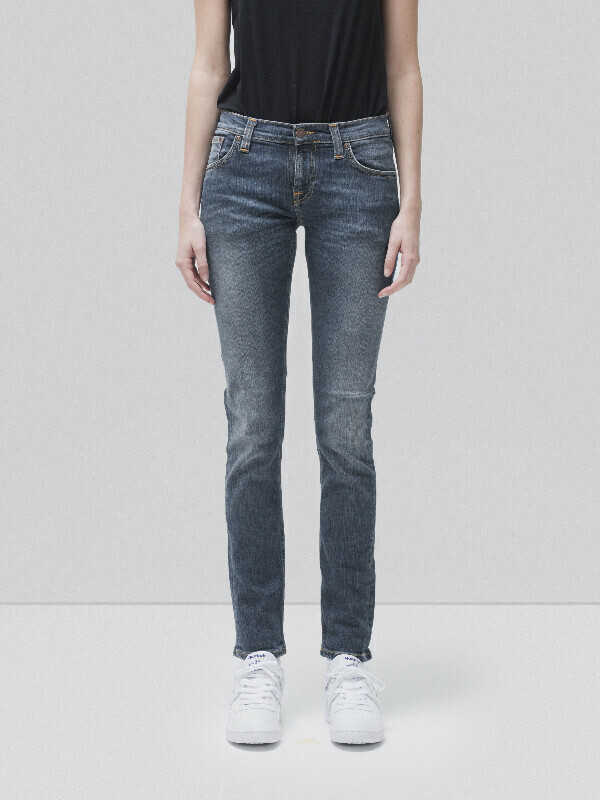 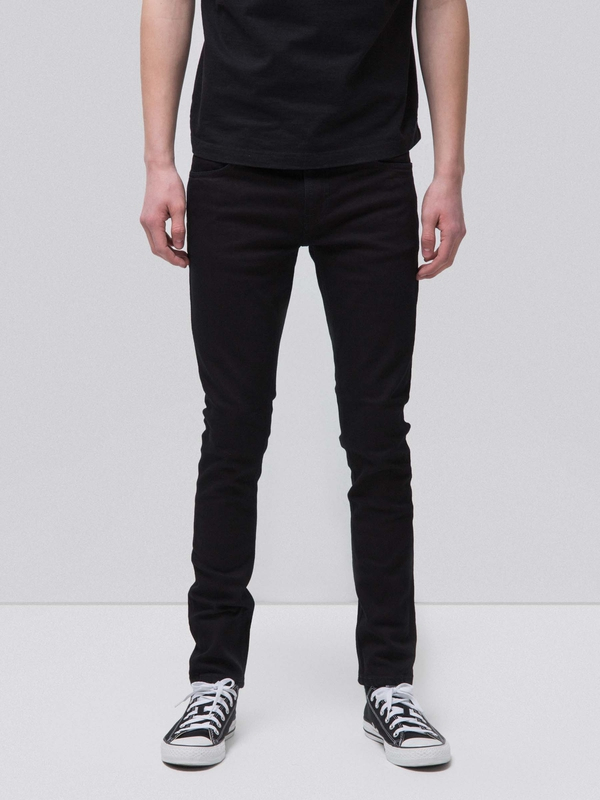 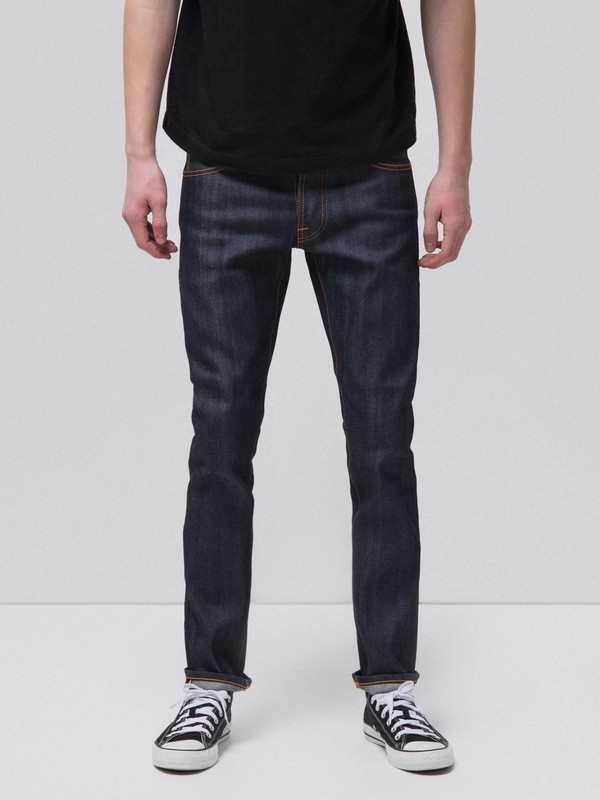 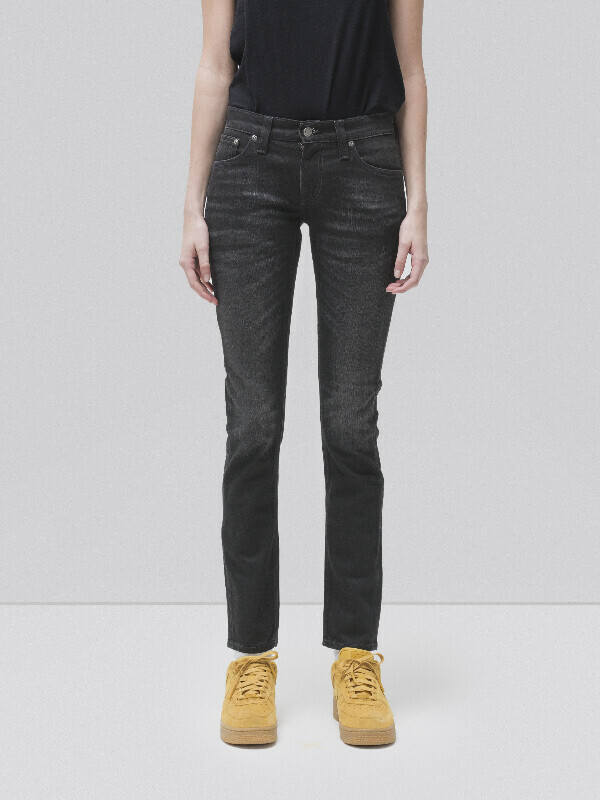 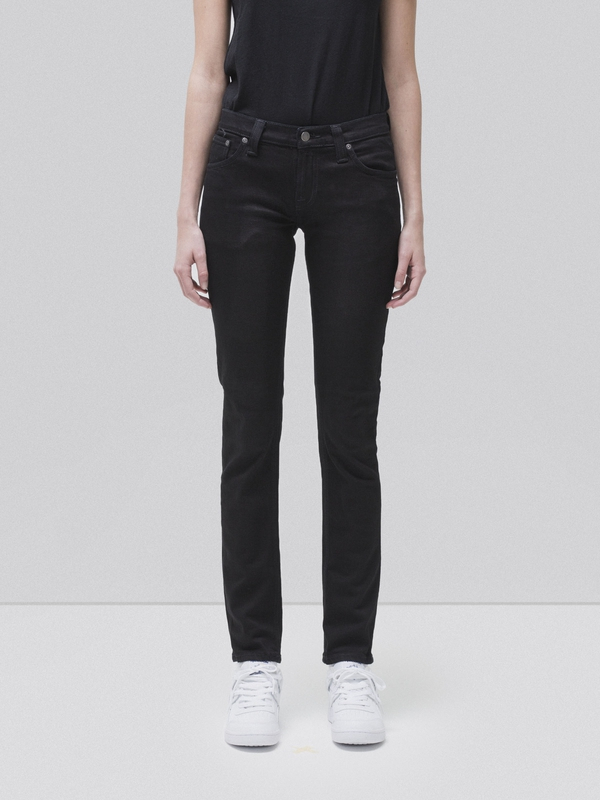 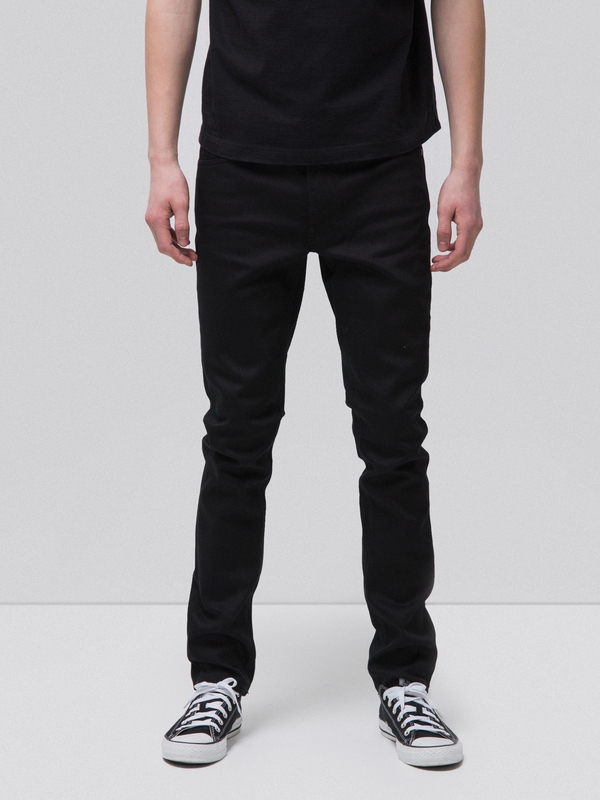 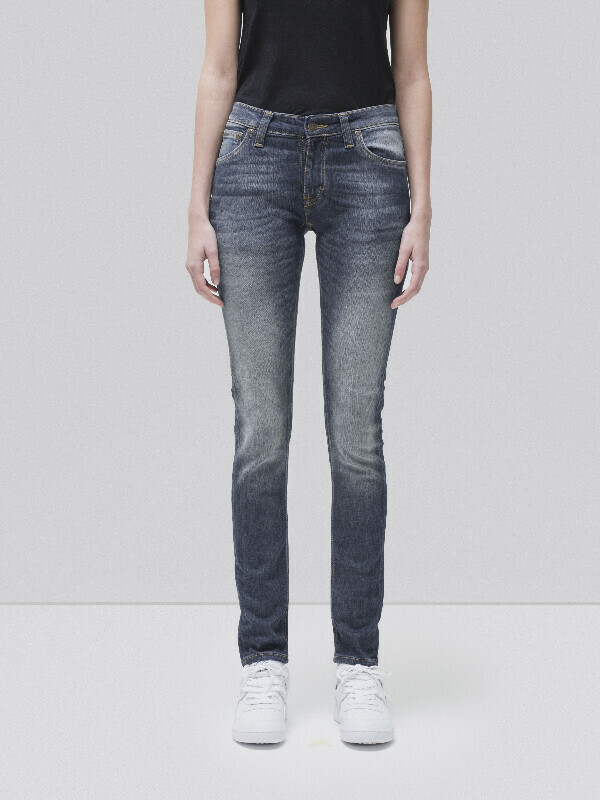 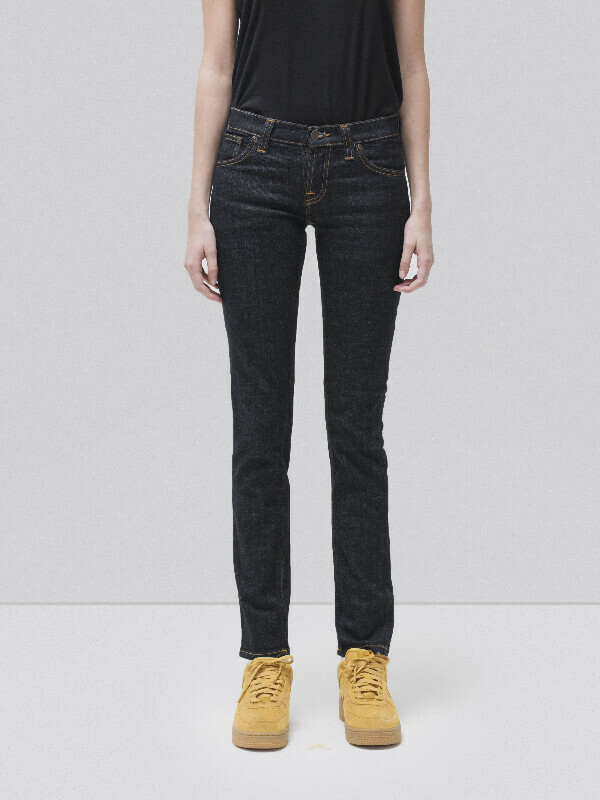 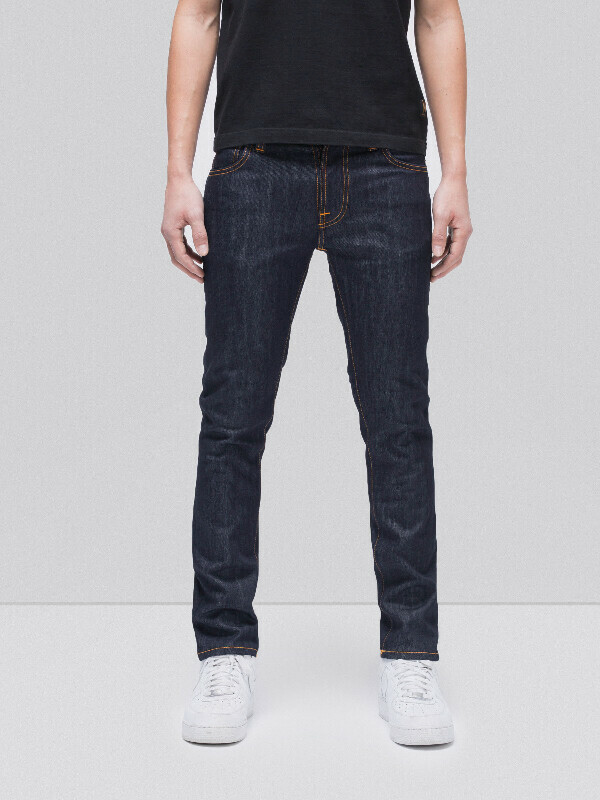 Jeans made in indigo-dyed over-dyed black power stretch denim. 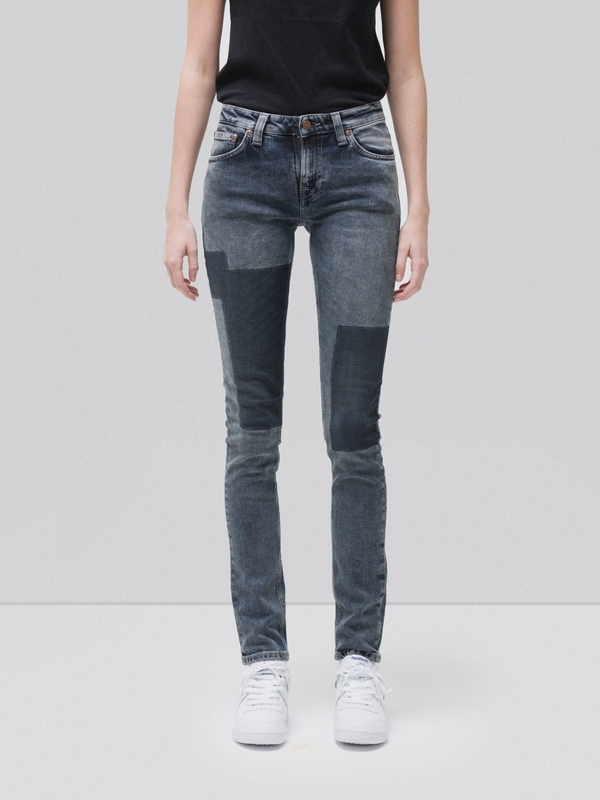 The wash has revealed the beautiful grainy structure of the denim while the indigo and black has evolved onto a dark midnight hue. 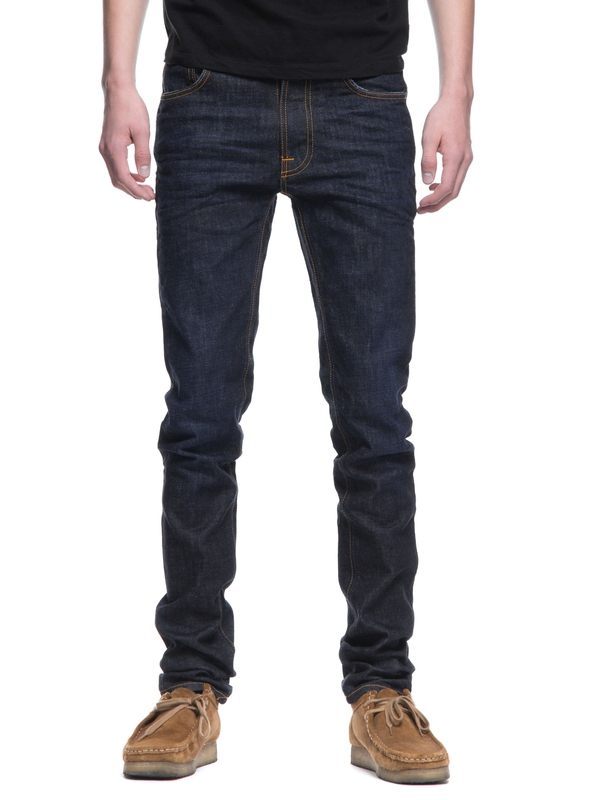 At folds and creases the darker, original, tone linger, contrasting to the fading and mustaches.